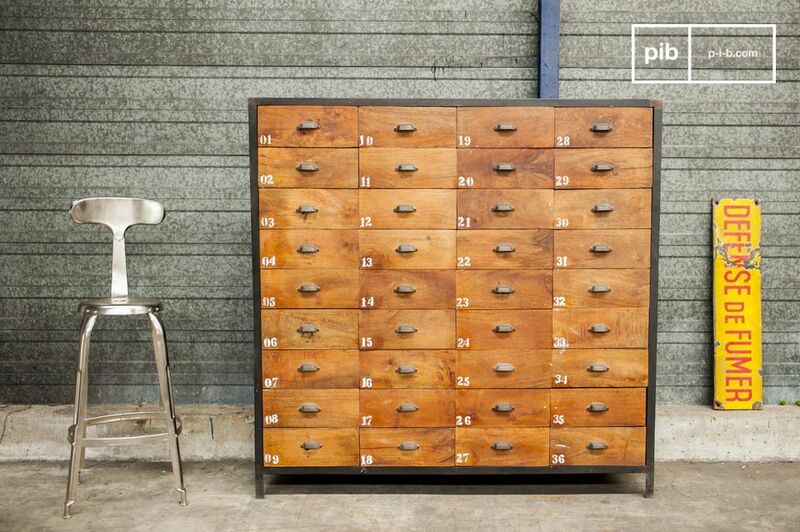 Consisting of 36 drawers made of wood, the beautiful contrast offered by the steel structure gives this piece the spirit of a furnishing that could be found in the exit of an old workshop. 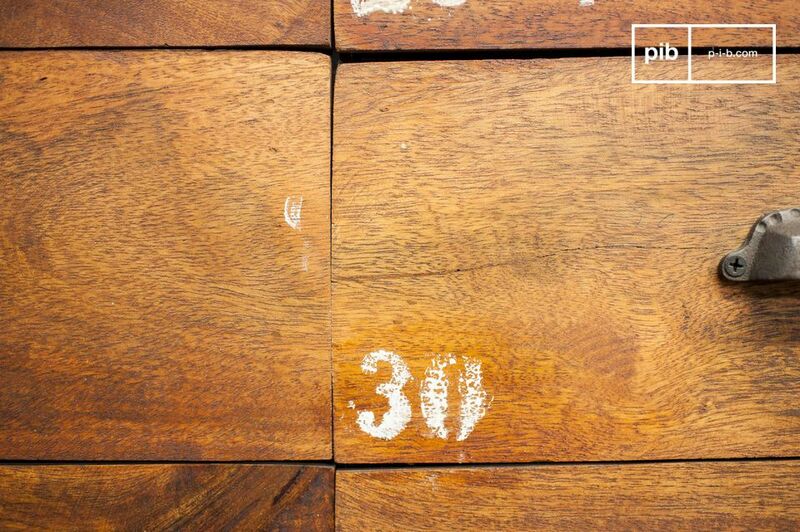 This chest of drawers, with great storage, is a unique piece of furniture due to its style and dimensions. Each drawer is made entirely out of varnished wood and is equipped with a semi-circle handle. 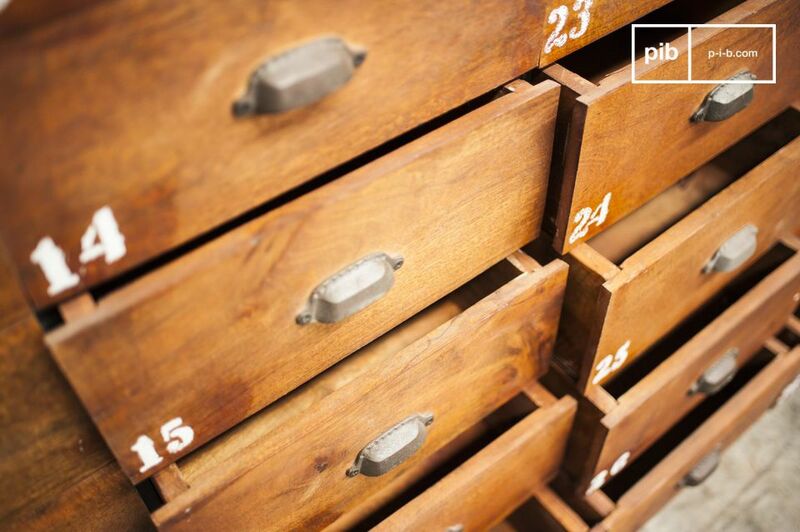 For practicality and organisation, each drawer has been numbered. 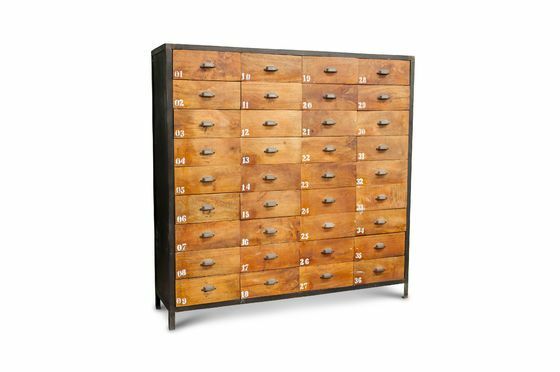 This piece of furniture is a beautiful item for your home, with its robust wood and metal frame it is sure to last decades. 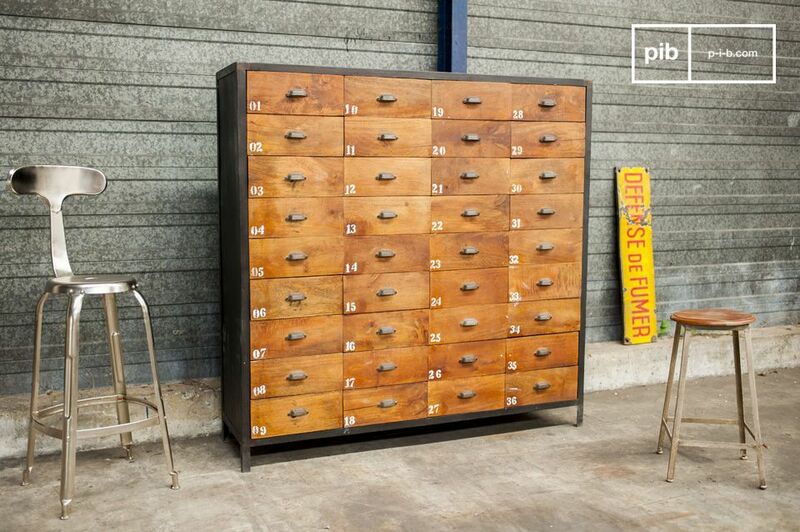 It will fit perfectly into an iterior with existing vintage industrial decor, or in a more classically styled home.